In 29 December 1984, after a memorable performance of Swan Lake at the Paris Opera, the great Rudolf Nureyev named an extraordinary 19-year-old étoile. 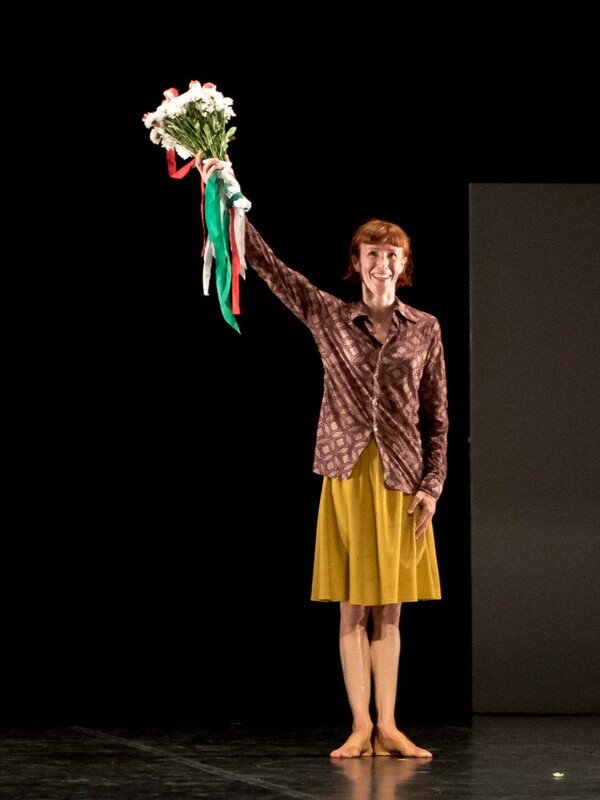 Her name was Sylvie Guillem. Nureyev’s instincts were as usually right. He may have been difficult at times, but he was also generous and had a true vision about the dance world, something cruelly missing nowadays. Sylvie was the youngest dancer ever at the Paris Opera to accede to that highest honour and she also became the brightest star the ballet world has known. On 31 December 2015, she gives her final performance as a dancer in Tokyo with Béjart’s Boléro. It is she who decided to bring down the curtain on her own terms at this specific point of her career while she is still at the very top of her profession. The announcement of her retirement made headlines around the world and for good reason. No other ballerina has marked the art of ballet like she did. She, like Baryshnikov, became the ultimate dancer, breathing new life into the classical repertoire whilst being equally mesmerizing in contemporary works. I did not have the chance to witness her miraculous beginnings at the Paris Opera in the eighties. It took me 11 years after her consecration as étoile before I first saw her on stage. It was at the Théâtre des Champs Elysées in Paris in 1995 and she was dancing Béjart’s (the first great master in Sylvie’s career) Sissi, La Luna and the Bolero as well as that breath-taking pas de deux of Forsythe’s Herman Sherman. Without a shadow of a doubt, I knew that I had experienced the same awe, the same wondrous amazement, as the first audiences who discovered Sylvie at the beginning in Paris. She was everything one secretly hopes to see on stage and so much more. It is not an easy task to explain her genius. I suppose it was the way she occupied and commanded the stage, a creature from another planet, yet so utterly human and with such a rapport with her audience. Each muscle of her body, each fibre of her being, each expression was telling us volumes about the character she was portraying and the woman she was as well. Exquisite grace and musicality; precision yet so much freedom of movement; steely control and passion; a brilliant, unforced technique always used with intelligence and good taste to serve the part and the choreography. Such was the mastery of her craft that her art was and has always remained ideally invisible. And that charisma which cannot be explained or analysed. Once she entered the stage nothing else in the world seemed to matter and she drew the audience to her like a magnet. A true, rare star who brought a much needed air of glamour and chic, but also excitement, emotion and modernity to the often dusty world of ballet. In retrospect, what is striking, among other things, about Sylvie is that she was a complete artist very early on in her career. Think of the celebrated Raymonda variation which we have watched countless times on YouTube. I can think of no other ballerina who brought so much vitality to this piece, so much charm and beauty, such majestic presence and authority. Then watch the film of Cinderella in the Nureyev version. She masters the choreography to perfection, yet she also gives so much of herself to the part; she is equally at ease whether portraying Cinderella in rags, or radiating with glamour and grace during the ball scene. And she shows a brilliant clown-like sense of humour in her imitation of Chaplin in The Kid as well as a breath-taking assurance and elegance worthy of Fred Astaire in the subsequent tap dance variation. Sylvie had all the qualities which distinguished the very great ballerinas who preceded her: the masterful, heartfelt and intelligent approach towards characterization as well as a strong personality. But she was also a woman of our times with some special quality which made her a creature of the future as well. She was the past, the present and the future of ballet. The dance world would never be the same again after Sylvie and it was no wonder that, like for Callas in opera, there was an era before Guillem and another after Guillem. This inevitably caused quite a stir and there were detractors. Some critics said that she was cold. This might be explained, as Sylvie has said in interviews, because she took away what she felt was superfluous in ballet and her critics simply did not recognize the gestures they were used to seeing on stage. Less is more, and so much more effective. If she did not feel like doing a certain gesture which meant nothing to her, she would not do it. What Sylvie gave on stage had meaning, truth, substance and beauty because it really sprang from her very depth and because she was a believer in what she was doing. A frustrated Vittoria Ottolenghi called her “The icy Divine” admitting that she could not ‘get’ either Guillem or Baryshnikov, the two most admired dancers in the world. Without attempting an analysis of Ottolenghi’s arguments, by defining Sylvie as Divine, even an ‘icy’ one, wasn’t she already expressing some secret, suppressed admiration that she refused to accept, simply because Guillem represented a different image of the ballerina than the one she was used to ? I also believe that her critics never forgave her independent spirit. “Too uncompromising”, said the similarly frustrated Clement Crisp of The Financial Times. I suppose he, like others, preferred his ballerinas to be obedient little creatures and could not forgive Sylvie for being herself, supremely free and master of her own destiny. Guillem could be the epitome of discipline and artistic integrity as far as her approach to her work was concerned, but she could not be put under the scrutiny and dustiness of administrative institutions, otherwise she suffocated. She needed her freedom to make her own decisions and even occasionally her own mistakes. The art of dancing is an ephemeral one. Every day counts and Sylvie always knew that and had no time to waste. Seeing Guillem in a classical ballet like Sleeping Beauty, Swan Lake or Don Quixote was a true revelation. I remember watching her in Sleeping Beauty with such awe and emotion! She took the part of Princess Aurora, so one dimensional in the hands and feet of other ballerinas, and gave it meaning, beauty and complexity. The technique was astounding, yet so natural and unforced and so in tune with the character. I especially remember that divine variation in Aurora’s vision. This was not just dancing, it was pure poetry and grace in motion. If Beauty could find its ultimate expression it would be in this precise, ideal moment. 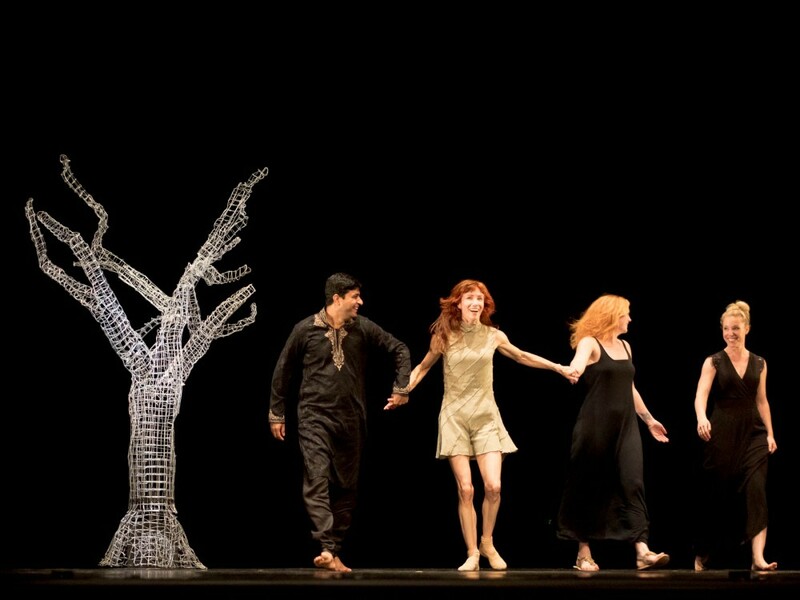 All of a sudden, people like me and so many others, by no means dance purists, felt that these often-called ‘academic’ ballets came beautifully to life and the audience was allowed to live a full-fledged theatrical experience. I also felt that strongly when I saw her unforgettable Giselle in Paris with Laurent Hilaire. Sylvie was not trying to be a romantic heroine. She was timeless: a complex, fully alive, generous creature who could be of any century. One had to see her mad scene to realize how an intelligent artist can make all the difference and infuse new life into a ballet. I never saw heartbreak so eloquently expressed. When Sylvie presented, sometime after, her own memorable version of Giselle, she explained that she was inspired by Jacques Brel’s song Orly for that particular scene, when the heroine all of a sudden loses love. It was that abrupt, terrifying realization that love has gone forever which made her portrayal so moving and shattering. And I can still see her at the end of the second act, an exquisite spirit disappearing forever into her grave, yet that generous heart of Giselle and her undying love for Albrecht still shone through. When Sylvie left the Paris Opera she flourished as a guest at the Royal Ballet in London and one has to be grateful to the wonderful Anthony Dowell for his vision, patience and sensitivity to the needs of this one-of-a-kind artist, giving her all the freedom she needed. He also opened new artistic horizons for her and she expanded her repertory with works from MacMillan and Ashton. It was the witty Dowell who named her ‘Mademoiselle Non’ and she accepted it with good humour. For it is a very nice tribute indeed for someone who always had the guts to say no when she felt that a choreography or a partner were not right for her and who simply wished to assume her own choices. A life without compromise. How many other examples can we single out of an uncompromising free spirit defying conventions in a world where compromise reigns? Sylvie could be highly critical when she did not like a choreographer, but she could also be equally enthusiastic and open when she admired someone like Mats Ek and William Forsythe and, of course, Béjart. It was she who insisted and succeeded on bringing the work of Mats Ek into the Royal Ballet’s repertory. I remember clearly that moment when she starred in his Carmen at the Royal Ballet with Massimo Murru. She was a fiery, fearless, gutsy Carmen and she mastered to perfection the unique dance vocabulary of Ek. She had already marked our generation and subsequent ones when she first danced in the nineties two of his choreographies especially made for her: Smoke and Wet Woman. There was humour, gravity, irony, passion and a strange sense of elegance in these works and Sylvie threw herself completely into this universe and made it her own. Forsythe was another master in her career and together they changed the rules of the game. No one danced his abstract, yet substantial choreographies like Sylvie did with such energy, such fearlessness, glamour and chic. From the ground-breaking In the middle, as well as Steptext, Herman Sherman or most recently Rearray she explored all the corners of the dance vocabulary and became the standard and the ideal towards which most other dancers strive hopelessly to attain. The great great great great Sylvie……!!!!! As usual Gramilano, you summed up this artist beautifully. Thank you. Thank you Ms Harvey, but this time the words came from Yiannakis Ioannides, her n°1 fan (or ‘a’ n°1 fan), though that makes him sound fanatical, which he’s not; just someone who appreciates that her qualities are rare and has done the most to maximise his exposure to her talent while he can… wise man! So beautifully written from the heart. Grateful that we were ever to see this woman so ahead of her time. Thank you for writing Yiannakis and thank you for posting Graham. Nakis your words come from your heart and we thank you so much for them. You know I feel the same but you write it much better. She changed my way of seeing things, she moved me in a different way by communicating in a different way and I’ll always be grateful. Was lucky enough to be there in Yokohama last night… and in Cannes when she first debuted as one of the 3 Dryads soloists back in 1982 (I think). What a career, what a woman. I didn’t agree with everything she did but let’s face it, she paved the way for a new style of dancers who are still trying to match her beauty and amazing talent. Thank you so much. I simply tried to express in my personal perhaps a bit excessive way how I have perceived Sylvie as an artist through the years I see her in stage. For she is a most rare artist indeed with a true impact to her audience which was always wonderful to see. It was a true privilege to witness that rare genius through the years and also to have this constructive exchange with other audience members who also felt that she made a difference in their lives and in the way they perceived dance and art in general. I and so many others will miss her terribly but I feel really blessed to have lived in the same era with her and to have experienced her so many times on stage. Thank you. I have read your wonderful article-tribute to Sylvie and I feel exactly the same way as you do. Merci infiniment Nakis pour cet émouvant témoignage qui vient du plus profond du coeur pour cette artiste d’exception.